COG ‘BEST IN THE GALAXY’ T-SHIRTS ($20): https://www.bonfire.com/cog-best-podcast-in-the-galaxy/ COG SCARVES ($20): https://corner-of-the-galaxy.myshopify.com/collections/frontpage/products/2018-corner-of-the-galaxy-scarf COG STUDIOS, Calif. -- The LA Galaxy got their season-opening win over the Chicago Fire on Saturday night, thanks to an MLS debut by Efrain Alvarez and goals from Dan Steres and Zlatan Ibrahimovic. But it was how the Roster Compliance date played out that really added some fire to the official start of the season. 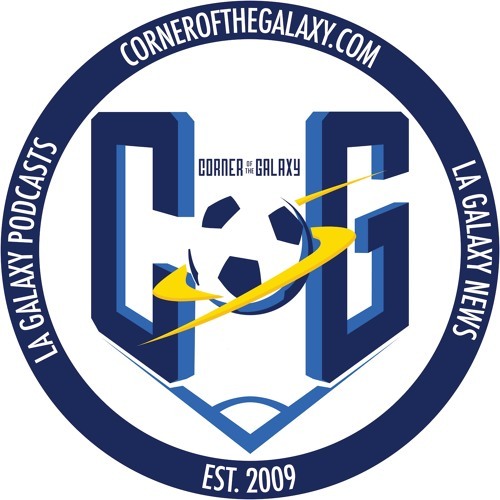 Your hosts, Josh Guesman, and Kevin Baxter are back to get you the full slate of events that led to the first whistle of 2019, and what the big takeaways from the Galaxy’s victory were. First, the guys will go into the Giovani dos Santos buyout and what they think happened on the final day of negotiations. Was Giovani dos Santos really planning on staying? Did the Galaxy make the right move in letting him go? Plus, Josh and Kevin, will break down the deal itself and tell you why the buyout of Gio’s contract was the most expensive way to get the most flexibility. But why’d it take so long? Then the guys will tell you about one of the trickiest roster moves they’ve seen as the Galaxy went out of their way to signing 17-year-old Julian Araujo to senior team contract by throwing away his Homegrown rights. Finally, the guys will dive into the rumors that are swirling now that the Galaxy have spending cash, have roster flexibility, and have two open International Slots. “What?” you say, you haven’t heard of the Galaxy acquiring a ninth slot from the Columbus Crew? Don’t worry, we’ve got you covered with our breaking news. It’s a podcast that spans just a few short days in Galaxy-land. But the rapid change in the team’s makeup looks to be picking up speed and not slowing down. We’ve got nearly 80 minutes of Galaxy-talk. And we’re glad you could join us for the start of another exciting season. Music Provided by Back Pocket Memory.